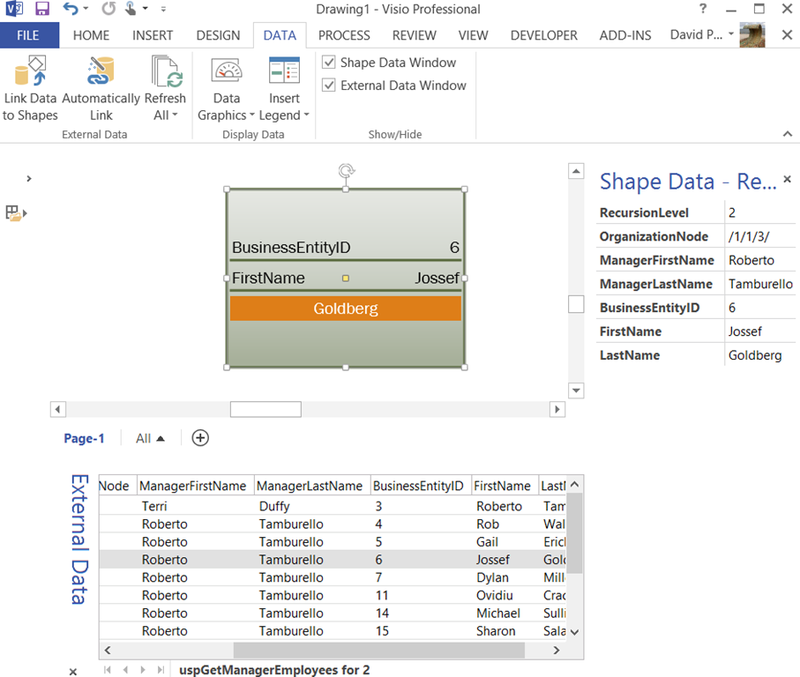 This macro uses the uspGetManagerEmployees procedure from the AdventureWorks sample database ( see https://msftdbprodsamples.codeplex.com/releases ). It expects one integer parameter, and returns a list of employees for a given manager’s business entity id. You will need to enter your own Data Source and Initial Catalog values. SQLCommStr = "EXEC dbo.uspGetManagerEmployees "
The stored procedure will then be executed an a data recordset will be added to the document. This recordset can be refreshed in the normal manner, or by re-running the macro with the same parameter.